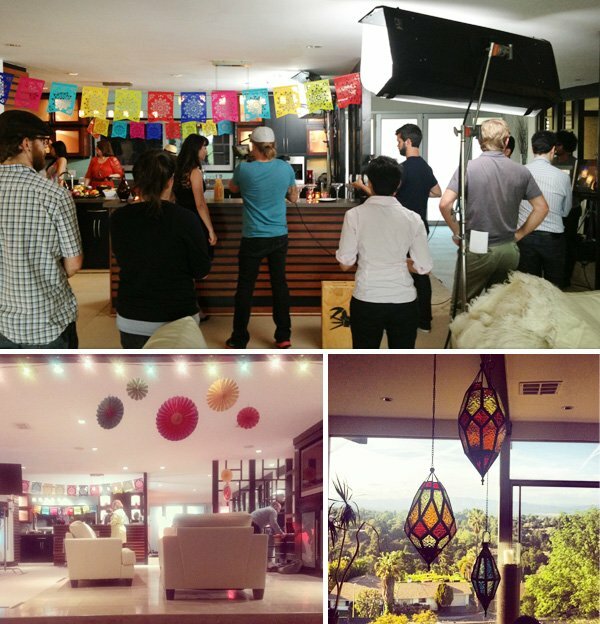 SO… with that in mind, I’m excited to share a video that I participated in recently, followed by some behind the scenes on the video shoot itself, and helpful takeaways for planning your own Cinco de Mayo party (or anytime fiesta)! 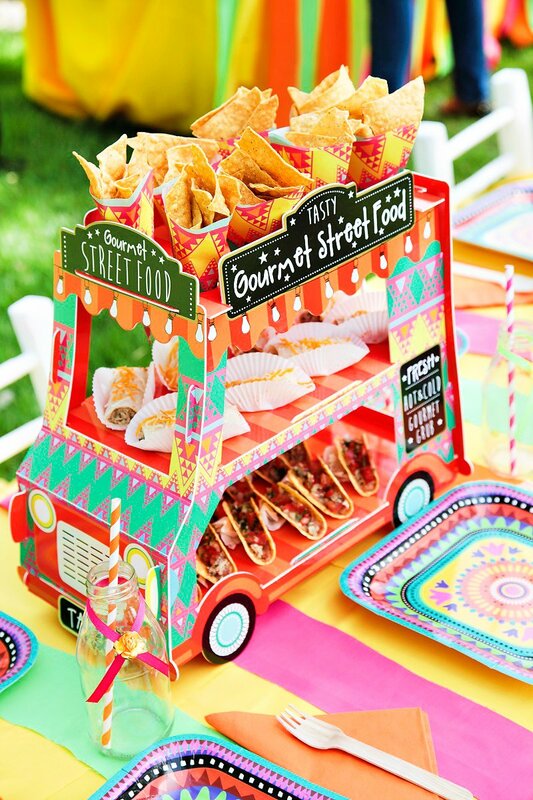 As a huge fan of Mexican food AND margaritas myself, I’m pretty much game for this kind of theme year ’round! How about you? So to give you some background, a couple weeks ago I headed up to LA for a video shoot with some of my fellow Glam Media bloggers. I knew it sounded like it would be a cool experience based on the creative brief, but I still wasn’t 100% sure what to expect. What it ended up being – was an insanely fun night of ‘”Besos and Margaritas“, with Sauza Tequila and a fabulous group of women bloggers you may already be familiar with: Jenny from Good, Bad, & Fab, Jillian of Catch My Party, Marisa of Margaritas in the Rain, Christi of Love from the Oven, and Candice from Fashionably Organized! Everyone was so warm and welcoming, which instantly made for a great start to the shoot. Some of us were meeting in person for the first time, but by the end of the night (which wrapped close to midnight), everyone felt like old friends. 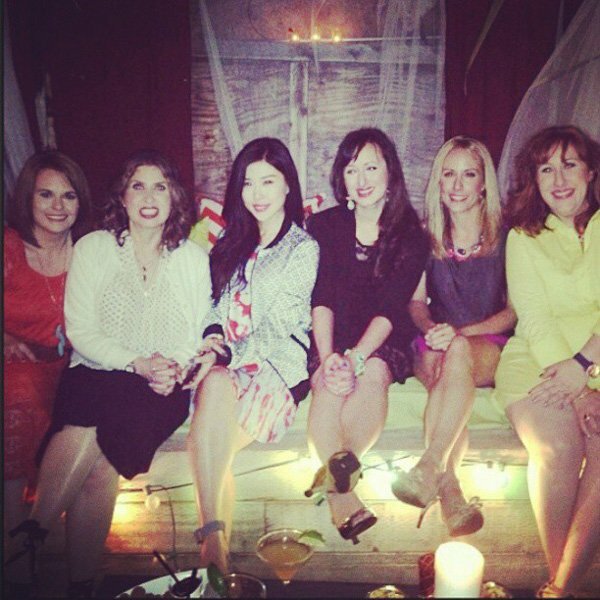 It’s funny how a few hours of bonding over similar work/life experiences – and a few refills of margaritas – can do that! 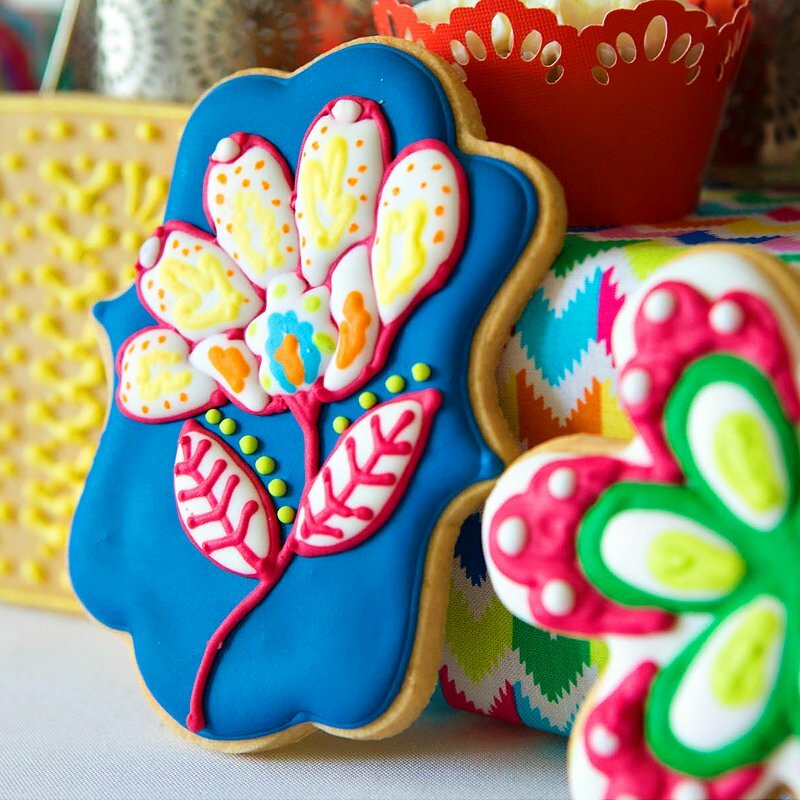 The house was also all decked out in colorful fiesta decor and string lights, which made the atmosphere feel even more cheery and beautiful. All in all, this was a very cool experience! And the cherry on top: a hotel room all to myself afterwards with none of the typical toddler wake up calls at 2, 3, and 4 am. Thank you, Sauza & Glam! 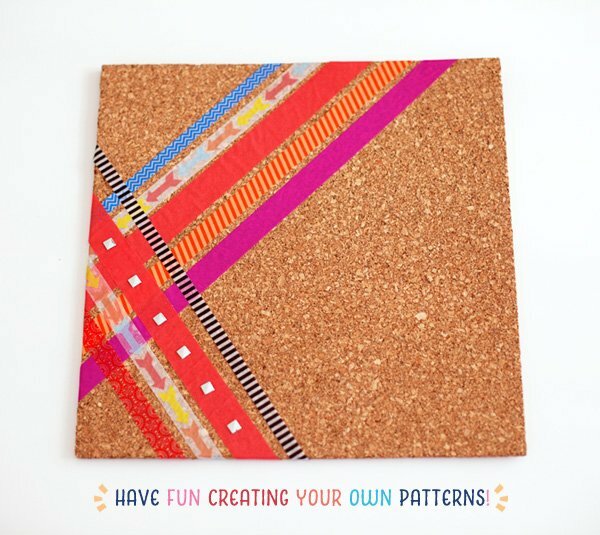 This is super easy and one of my favorite kinds of fiesta themed party decor! You can get small succulents and cactus plants at local nurseries or Home Depot, Ikea, etc. Just be careful when “potting” the cactus plants… I wasn’t paying close attention and got “stabbed” a few times while making these! I love that there’s no blender required in this tasty margarita! Just Sauza® tequila, limeade, water, and light beer. Super easy to mix up & serve. You can download the drink menu I designed for this shoot right here. 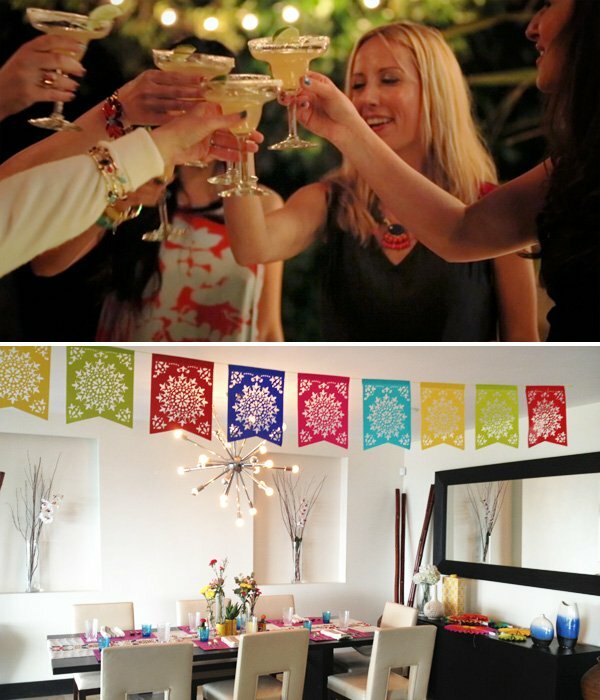 These beautiful & artistic banners will make it feel like a party instantly! The ones in the video are from Party City, but you can also buy them in bulk (and lots of fun colors) and Koyal Wholesale. 4. 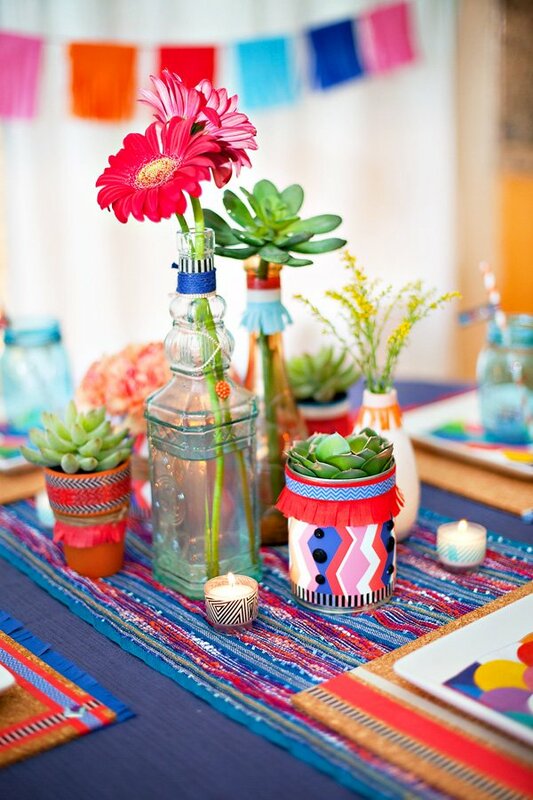 Use an eclectic mix of brightly colored vases, flowers and candles for a chic looking table centerpiece (as well as accent decor). 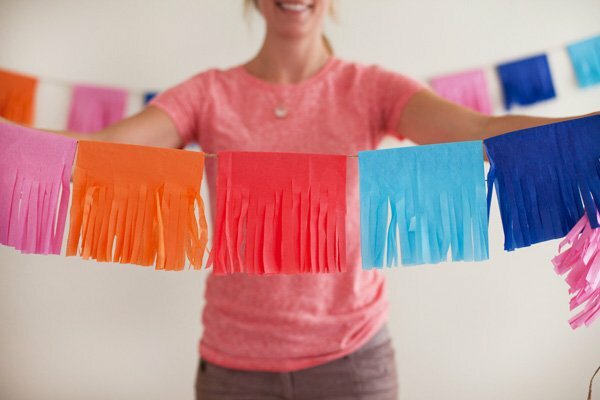 I actually grabbed vases from different rooms in my house and office – Fiesta style parties have a lot of different colors, so you’ll usually have something that works! You can’t beat String lights and candlelight for setting the mood at a party – and this theme is particularly great when some of the candles are displayed in translucent votives or glasses. He’s equally talented in the saving of lives and the ways of love. And best of all? He’s ready to pour you a Sauza-rita, and listen as you pour out your feelings. 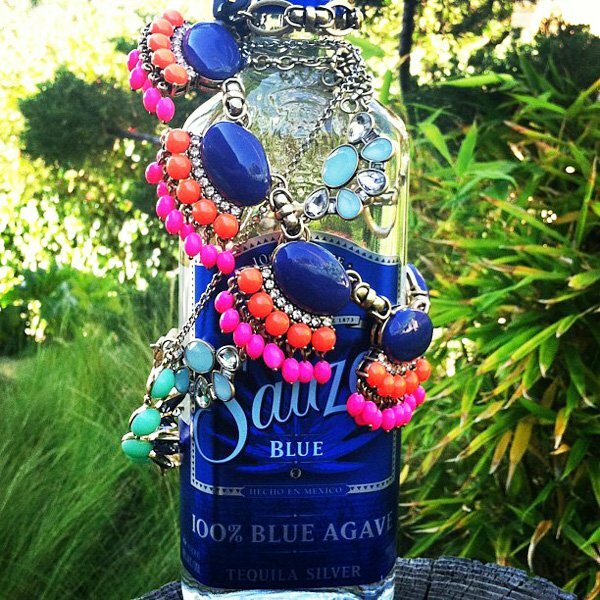 This perfect man is perfectly prepared to help make your ladies night unforgettably fun – with Sauza Blue, of course. Check us out at . Disclosure: Compensation was provided by Sauza® via Glam Media. 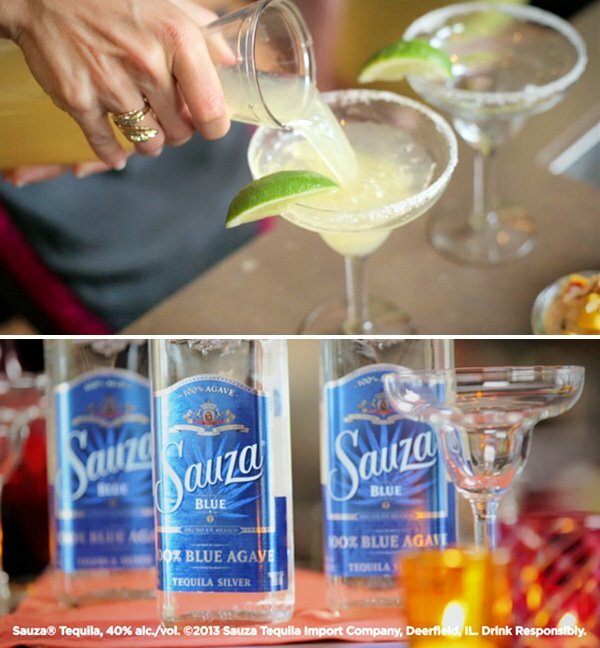 The opinions expressed herein are those of the author and are not indicative of the opinions or positions of Sauza®. So fun! I was sad I missed this. But you girls look FABULOUS + the video is super awesome! So much fun! 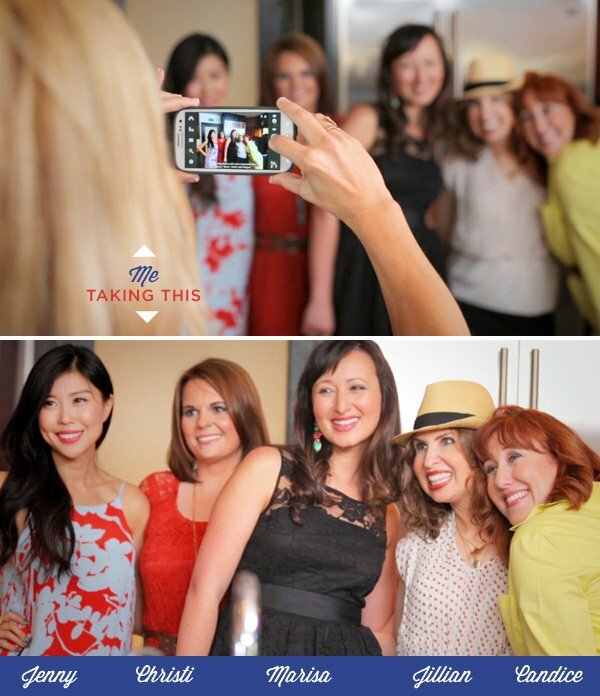 Love seeing all my favorite bloggers together. And, margaritas are always a good thing. Girls great idea and within an ideal budget. Looks amazing. Would love to join in next event from here in Northern California. 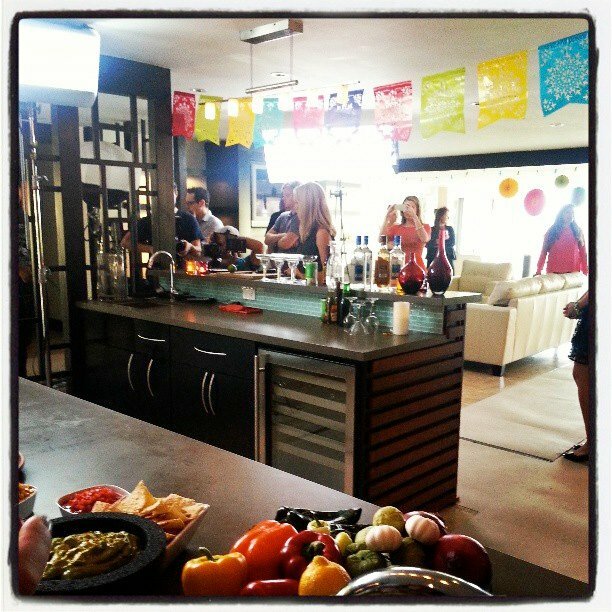 What an awesome video..hott..hott..girls having a blast…loved it for yall….Sauza Tequila..oh yeah..fun times!!! Great Cinco de Mayo Night party! beautiful pictures. Would love to see a recipe.